Managing customer service in the contact centre environment requires focused metrics that shine the spotlight on areas of strength and weakness to help businesses proactively monitor and improve service delivery - so says INOVO CEO Wynand Smit. Companies may have processes and systems in place to measure certain variables, yet understanding the relationship between the data is often where the intelligence is discovered and the value derived. "What technology companies tell you vs. the realities of operations is vastly different. As a former manager of a financial services contact centre, I really found it challenging to manage an environment with so many variables outside of my direct control - especially without proper metrics and data. Human behaviour also has such a direct impact on the cost of sale, cost of collections and the customer experience," Smit remarks. Over the past 12 years of operation, INOVO has helped its customers define metrics that aren't just focused on isolated processes, but that tie back into key business and departmental objectives. "Businesses have long-used metrics to measure their contact centre operations - in a customer service environment, this could include number of calls answered, the percentage of calls answered within a certain time frame, or length of call. Surprisingly, many contact centres are yet to actively measure first call resolution, or even track service levels across multiple channels and touch points," Smit comments. A digital dashboard can reveal many aspects of business and customer intelligence, according to the metrics put in place. 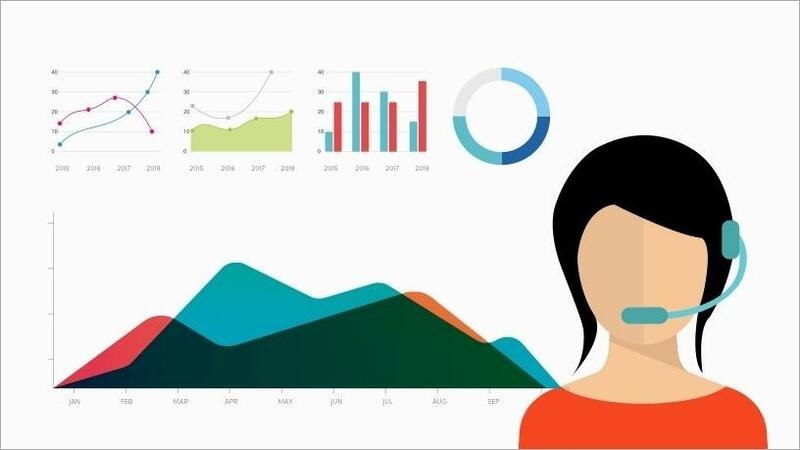 While humans may not be able to process and interpret large amounts of data, by being able to track patterns and trends, and feeding this intelligence back into the business, campaigns can be better organised, a more pro-active approach to customer engagement can be adopted, and potential problem areas or faults addressed. Using digitisation to optimise processes, enhance CX, and derive real business value from data is key to moving modern businesses forward. "If you put yourself in the position of your customer, it becomes easier to understand how the metrics can go wrong. Let's say the customer has had to speak to three different agents to resolve an issue, and they are only asked for feedback after closure of the interaction. Are customers rating their experience with the last agent or the customer service provided by the business? Is this data being used by the business to measure customer satisfaction or the agent's performance? It makes it impossible to gain valuable insights if the research design is flawed," Smit states. "Operationally speaking, you need to analyse what the desired results of measurement are, and then tackle all of the touch points or processes that lead to those results. Attention must be paid to extraneous variables or anything that could have a confounding or negative impact on the desired result. It's not always about the technology that's in place, remember that humans are working with systems and processes - it often comes down to understanding relationships between data, and using this to deliver positive operational and strategic outcomes for a business." If there is a crisis or a challenge within the contact centre, dashboarding (when reporting on the right metrics) can reveal anomalies fast, allowing the company to examine in detail where the issue lies. This allows for the quick identification of problem areas - whether this is system, process, or agent-related - to proactively make improvements that deliver the most business impact. "Productive, efficient processes allow contact centres and agents to work to their potential, and this leads to customer satisfaction - that's not just because you want happy customers, but rather because it influences their desire to continue to do business with you," Smit concludes.